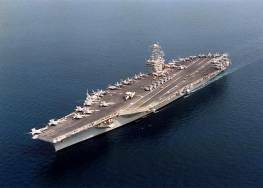 USS NIMITZ is the first ship in the NIMITZ - class of nuclear-powered aircraft carriers and the first ship in the Navy named after Fleet Admiral Chester W. Nimitz. 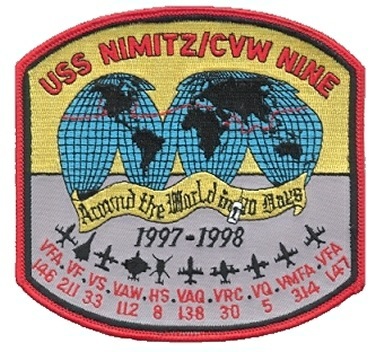 This section contains the names of sailors who served aboard USS NIMITZ. It is no official listing but contains the names of sailors who submitted their information. 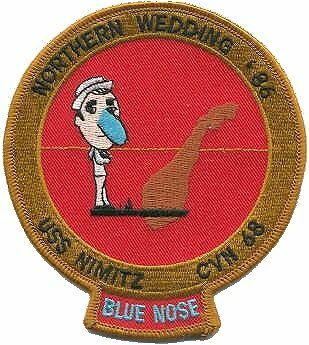 Click here to see which USS NIMITZ memorabilia are currently for sale on ebay. The Medical Department is manned by six doctors including a surgeon, who provide everything from surgery to hydro-therapy. The ship also features an 80 - bed hospital ward. Four destilling units enable NIMITZ engineers to make over 400,000 gallons of fresh water a day, for use by the propulsion plants, catapults and crew. 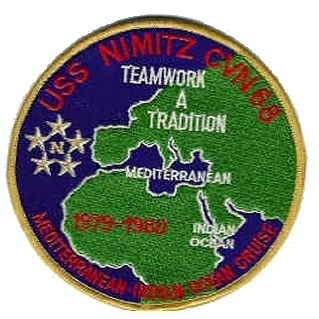 Read more about the history of USS NIMITZ. 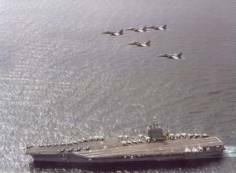 Read more about the deployments of USS NIMITZ. 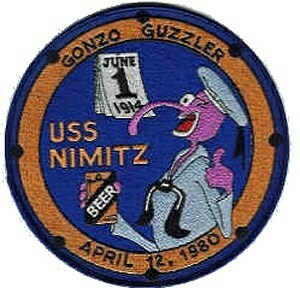 Primary coolant water leaks from one of the two nuclear reactors aboard USS NIMITZ. A navy spokesman says there was no release of radioactivity, no danger to the core, and no danger to the ship's crew. An EA-6B aircraft attempting to land at night struck a helicopter, then hit another aircraft and tow tractor before coming to rest. A fuel fire erupted. Improved flight deck fire fighting systems quickly contained the fire, and once the fire was believed to be out, the order was given to start the clean-up. As sailors approached the scene, a SPARROW missile warhead that was buried in the debris detonated. The explosion restarted the fire and three more warheads detonated before the fire could be extinguished. 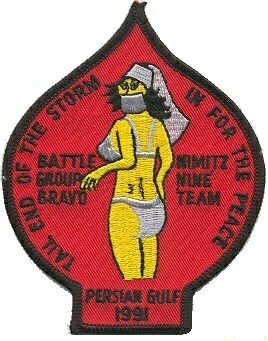 Fourteen sailors were killed and 45 injured. Three planes were destroyed and nine were damaged. A 20mm cannon on an A-7 Corsair aircraft accidentally fires during maintenance setting six other aircraft ablaze aboard USS NIMITZ. One sailor is killed when a S-3 aircraft explodes, and another sailor who suffered burns to over 90% of his body later dies after being medically evacuated to Germany. 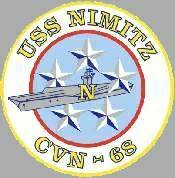 NIMITZ continues operations. 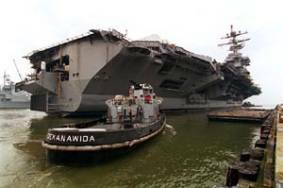 One sailor was killed and four others injured when an arresting cable on NIMITZ' flight deck snapped and struck a group of sailors. The accident happend as an F-14A came in for landing on the deck and the arresting cable broke. The plane apparently landed safely. It is not known if the plane had to abort its effort to land and circle the ship before returning for a landing. November 16, 2006 Naval Station North Island, San Diego, Calif.
Three sailors and a shipyard worker are suffering shocks while conducting electrical maintenance on a high-voltage shore power switchboard. They are taken to a San Diego hospital by helicopter and ambulance. 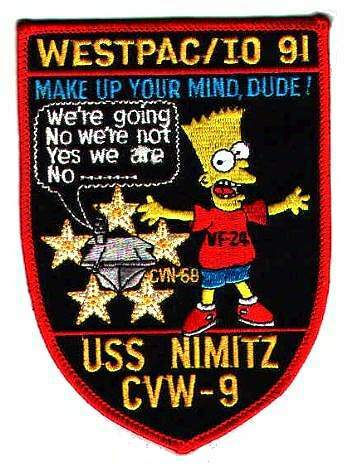 Click here for more USS NIMITZ Patches. The photos below were taken by Ian Johnson and show the NIMITZ anchored in Gage Roads, Fremantle, Australia, on October 8, 2005. The last two photos show the Admiral's Bridge and the carrier's Primary Flight Control. This was NIMITZ' first visit to Western Australia. The photos below were taken by me on March 26, 2010, and show the NIMITZ returning home to San Diego, Calif., after completing an 8-month deployment to the 5th and 7th fleet areas of operation. Among the crew are approx. 1200 tigers that were picked up a few days earlier in Bremerton, Wash., for the tiger cruise to San Diego. The carrier in the background is the RONALD REAGAN (CVN 76). The photos below were taken by me on May 11, 2012, and show the NIMITZ arriving at San Diego, Calif., after 5 days of carrier qualifications off the coast of southern California. The photos below were taken by me and show the NIMITZ at Naval Air Station North Island, San Diego, Calif., during a change of command ceremony aboard. During the ceremony, Vice Adm. David H. Buss relieved Vice Adm. Allen G. Myers as Commander, Naval Air Forces. 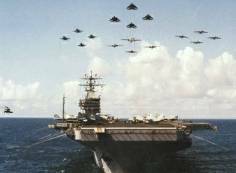 On the third photo the NIMITZ is overflown by a formation of F/A-18 Hornets. The photos were taken on October 4, 2012. The photos below were taken by me on October 5, 2012, and show the NIMITZ departing San Diego, Calif., for fleet replacement squadron carrier qualifications. 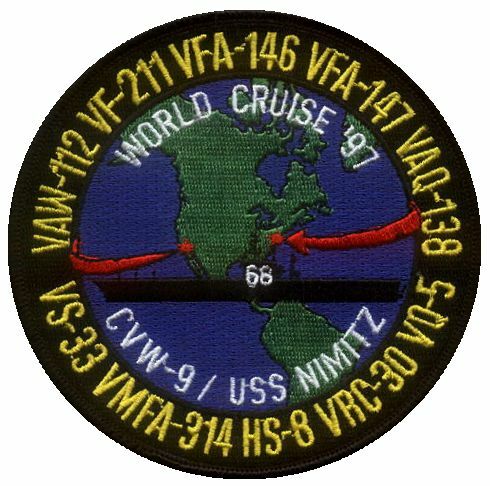 The next day, NIMITZ conducted the first ever carrier-landing of a V-22 Osprey. The photos below were taken by me and show the NIMITZ at San Diego, Calif., in the late evening on October 11, 2012. The photos below were taken by Michael Jenning and show the NIMITZ during an Extended Planned Incremental Availability (EPIA) at the Puget Sound Naval Shipyard, Bremerton, Wash., on April 17, 2016.